As an online marketer, your ultimate goal is to reach online users and promote your products or services, right? Ideally, you want to achieve this in a quick and painless manner, all while remaining cost-effective. Now, there are tons of traffic strategies out there and sometimes it can be hard to know which one fits the bill. That is where pay-per-click (PPC) advertising comes in. PPC is basically when you (the advertiser) pay your host (the publisher) each time someone clicks the ad being displayed on your behalf. Whether you are aiming to connect with users via social media, search engines or other content sites viewers, PPC is a great way to target a new audience and enhance your overall marketing efforts. It’s no surprise that everyone wants instant results when it comes to their marketing efforts. PPC is a great strategy to expedite those results. Quick turnaround is one of the most distinguishing differences between organic and paid searches. The reason being is that organic positioning is extremely time consuming. You have to build up your pages, fill in your content, integrate keywords and phrases, share the content, develop high quality backlinks and then you might see your rankings increase. Once a PPC campaign is set up and properly optimized, this advertising strategy can shoot your website to the top of the list, and fast! 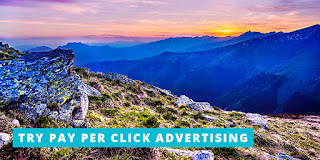 Plus, publishers like Google reward the highest quality ads (not just whoever paid the most), making this especially worthwhile for businesses that are just starting out and need a quick boost. Of course you still need to design and implement your campaign effectively, but with PPC, you’re basically paying to get bumped to the front of the line. reputation, PPC advertising is something that can help you expand your audience by reaching even more people. Internet users today don’t want to be bothered with intensive searches, or be forced to dig through pages and pages to find you. That’s why implementing a PPC campaign can help you increase your traffic tremendously! Efficiency is key in the world of digital marketing and most people don’t have the time or patience to get past the first page of search results. However, when utilizing PPC your ad gets bumped to the front of the line, allowing it to be showcased in an easy-to-see spot. This is crucial for anyone looking to expand their influence and gain more customers. If either of those sound appealing to you, PPC advertising may be a perfect fit for you! Paid advertising doesn’t just allow you to reach more people. With proper deployment of this strategy you can actually tailor your audience to a specific group of people you’d like to connect with. In order to maximize the results, you should use targeting options wisely, especially when it comes to custom audiences within Google AdWords and Facebook. Narrowing down the audience criteria will allow you to showcase your ads only to the people that matter, i.e. the people who may actually be interested in your products or services! Options such as demographic, location, interests, behaviors and even an exclusion of any or all of those things will help refine the group of users you’re targeting online and as a result, you’ll increase the efficiency of your ads which ultimately leads to better conversion rates! Another reason PPC advertising is so appealing has to do with the financial investment itself. You know exactly how you’re spending your money, as opposed to different advertising models where the destination of funds may be a bit more vague. With PPC, you simply pay when the person interested in your products or services clicks on your ad. It’s that easy. 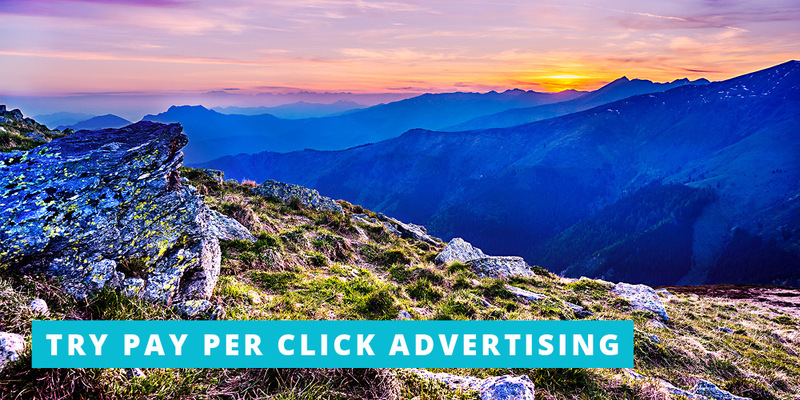 This click model (vs an impression model) means that you aren’t just paying for the view, but instead getting another level of marketing entirely. Any investment you make is based on real people who not only saw your ad, but were so enticed by it that they actually clicked. Most importantly, you are only paying to specifically target the users with the most buying potential and therefore it makes calculating your return on investment a breeze! By implementing a tool like ClickPerfect, you can track your results while comparing your advertising budget to your conversion value. This is extremely helpful, as it will give you an insight as to which ads are giving you the best return on your investment. As you start seeing tangible results, you can then in turn continue increasing the advertising budget to broaden your reach even more! Budget settings makes most PPC platforms quite flexible and allow you to adjust spending to your own specific needs. One thing you should know when setting up a budget is that many publishers work like an auction. This means that the cost of the campaign varies depending on campaign bidding for the same keywords. Most platforms let you to set up payment limitations, that way you always pay the lowest amount when bidding. You also have the ability to set up a spending limit so you won’t be charged over that set amount. Having a very specific business niche combined with a little luck might allow you to get some campaigns for a very cheap price! Another reason why PPC advertising is a strategy worth trying out is the diversity when it comes to different types of ads that are available. From social media, to search engines, to content sites – you can hone in on a ton of different ad campaigns. Do you want to raise awareness of your brand? Increase sales for a specific product? Share details for a specific event? Re-market to previous customers? Whatever the end goal may be, PPC allows you to select the ad specific to your business, allowing you to achieve results quickly! Online marketing is no longer reserved for big companies and industry experts. A do-it-yourself approach is now being utilized by newbies, small business owners and seasoned veterans alike. Platforms like AdWords and Facebook include plenty of instructions and online tutorials to help you set up your ads. Anyone with a little bit of drive and internet access can easily start a PPC campaign to promote their business! One important thing to remember is that PPC advertising does require some skin in the game and you need to come prepared to do some trial-and-error marketing if you are just starting out. Get familiar with the rules and learn how to successfully manage a campaign in order to get the best results. Remember that using a click tracking tool will come in handy here as you’ll need to run tests, monitor, compare data and alter the settings accordingly to stay on top of your game. All of the aforementioned best practices we’ve discussed here are oriented towards growing your business and enhancing results as quickly as possible! If your budget is tight, and you need to see quick results? Try PPC. If branding and recognition is something you want to improve, a PPC advertising strategy is recommended. If you’re looking for targeting options and fully manageable costs? Yup: PPC. Make sure to set goals, optimize your campaign before implementing, and be prepared with tools in place to track your progress, and pay-per-click may just work for you. Armed with this information and a tool like ClickPerfect, you’ll be able to see results faster than ever before! Over to you! Have you used PPC advertising before? What is your experience with this strategy? And, don’t forget to like and share this article to help spread the Word.